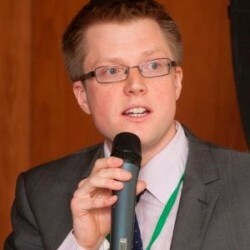 Stephen Barnett is CEO of Euclid Network in December 2013 and has worked with the Board and team to reboot the network’s membership model, renew its vision (to see the third sector empowered to drive positive change) and activities to contribute to it. He has been developing European networks and funding in the social space since 2006. He worked eight years for the European Social Network, most recently as Policy Director working on public sector leadership and innovation in social services. In 2014, he completed CASS Business School’s professional development programme for new charity chief executives. He is a graduate in European Studies of the College of Europe (Bruges) and Lancaster University and was a stagiaire at the European Commission’s Secretariat-General.